Our hotel team specializes in organization of the seminars and/or meetings. A personalized program will be proposed in order to combine your work with a pleasure. 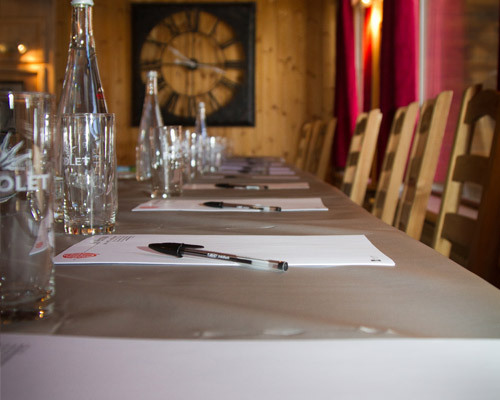 Meeting room has the large openings overlooking a ski slope.